when i survived the mock calls i was totally ecstatic of the hours that will pass til it will be saturday again! saturday means freedom! saturday is my restday. :P i got my weekend all planned out. the movie buff in me was really excited. woke up around 2pm. i never change my waking and sleeping cycle even on the weekend that way i wont have a hard time sleeping by sunday. :) watched a few tv series we were unable to catch up during the weekday and prepared to leave. got to sm after what seemed like an hour of travelling. its nice to be with someone you can talk to about anything. you hardly notice that you are at your stop already, guess you had one of those moments. we decided to check the movie schedule for the day. we were gonna watch red riding hood. i handed the movie cards from france (his birthday gift for me. ), told the lady at the counter that the card was worth Php350. boy, was i surprised!! she offered it for an iMax upgrade instead. 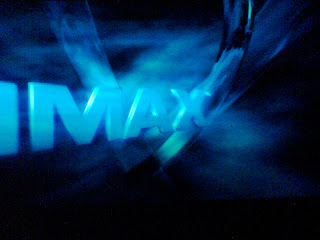 iMax? HELLS YES!!! the movie was great. i enjoyed it a whole lot. i screamed at the right exact time. it was an exhilarating ride. i never felt this engaged in a movie. the cinema had surround sound. i can feel every punch. (no kidding!!) it would be nice to watch HP 7 part 2 here. i will definitely add that to my bucket list. iMax. what's showing this week? click here.